A graduate of the University of Cincinnati College-Conservatory of Music (CCM), Matt has performed throughout Germany, Austria, the Czech Republic, Canada, and the United States. Matt has also performed extensively as an Orchestral Cellist in many leading regional orchestras including the Maryland Symphony, Evansville Philharmonic, Huntington Symphony, Annapolis Symphony, and the Manassas Ballet Orchestra. Some of the more unique performances given include opening an Orioles baseball game at Camden Yards with the national anthem, and playing with the rock group Blood, Sweat, and Tears during their 2013 US tour. Attending college on a full scholarship, he was a student at the Symphony Orchestra Academy of the Pacific and the Brevard Music Center. Matt has worked in master classes with American composers Richard Danielpour, John Corigliano, and Jennifer Higdon, and as a chamber musician with the Kandinsky Trio, Parker String Quartet, and St. Lawrence String Quartet. His major teachers include Ilya Finkelstein, Lee Fiser, William Skidmore, and Regina Mushabac. He completed additional studies with Alistair MacRae, Ariel Barnes, and Brooks Whitehouse. Matt has studied string pedagogy with Bob Gillespie, the author of the Essential Elements for Strings method books, and has worked with the elementary strings programs in Prince William County as well as serving as an adjudicator in a variety of contexts. 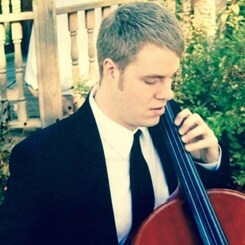 He is currently a freelance cellist and teacher throughout Northern Virginia, DC, and Maryland. Request Lessons with Matt Harman today!